IPL stands for intense pulsed light. 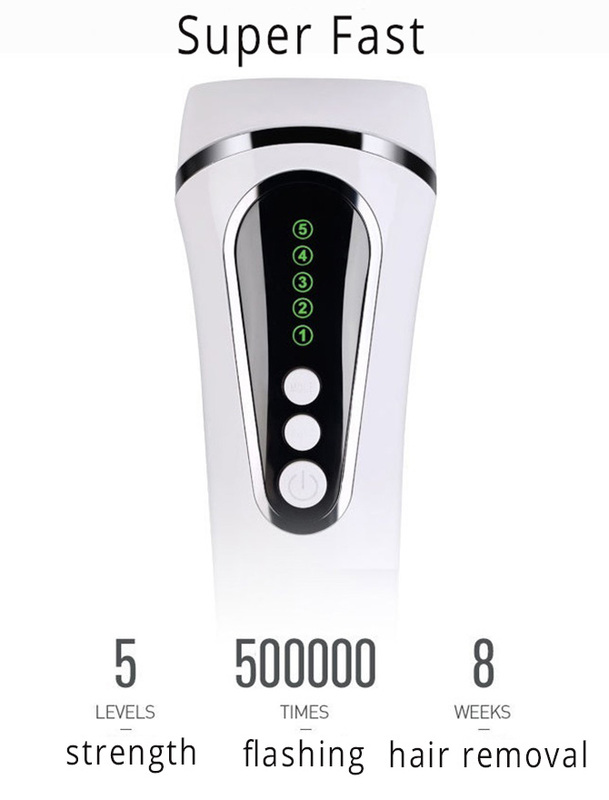 It’s a type of light therapy used to treat wrinkles, spots, and unwanted hair. 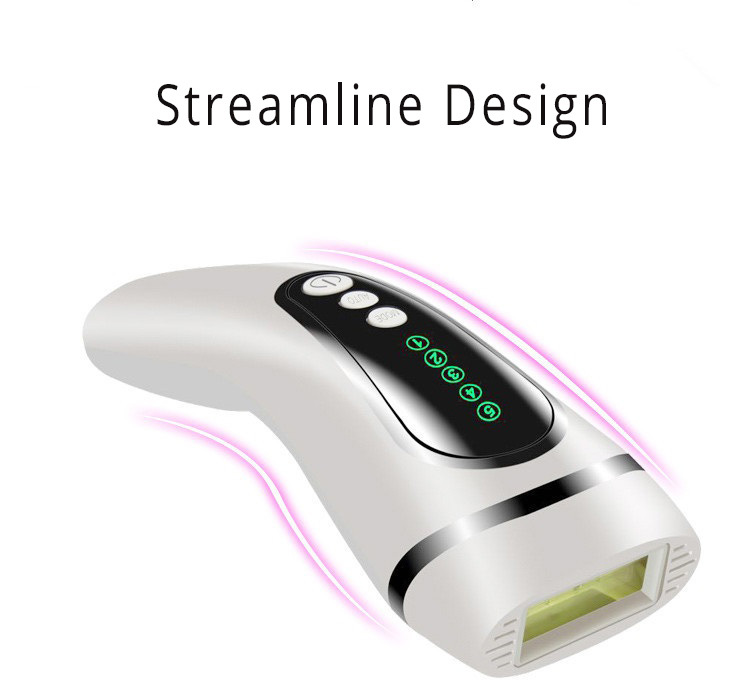 Intense Pulsed Light (IPL) is the most popular technology applied in hair removal application. Professional dermatology and top salon, spa first used it for their clients. It has been proved as the most safe and effective treatment.Around the world for more than 20 years, IPL treatment has a number of good feedbacks from users. How does IPL hair removal work on your hair? The energy of short intense pulse light is absorbed preferentially by the pigment in root hair follicle. After continuous treatments, hair is prevented from growing back. 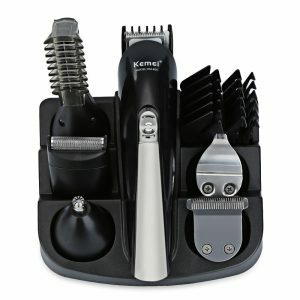 Endless shaving, razor bumps, plucking and bleaching? Hate the long drill to a dermatologist office, spa or salon? but no high cost of the in-office visit ? Freak out at a slight sting? Just want bikini hair removal at home privately? Can’t stand the pain of laser? Epilator again and again, get a 5-o’clock shadow? 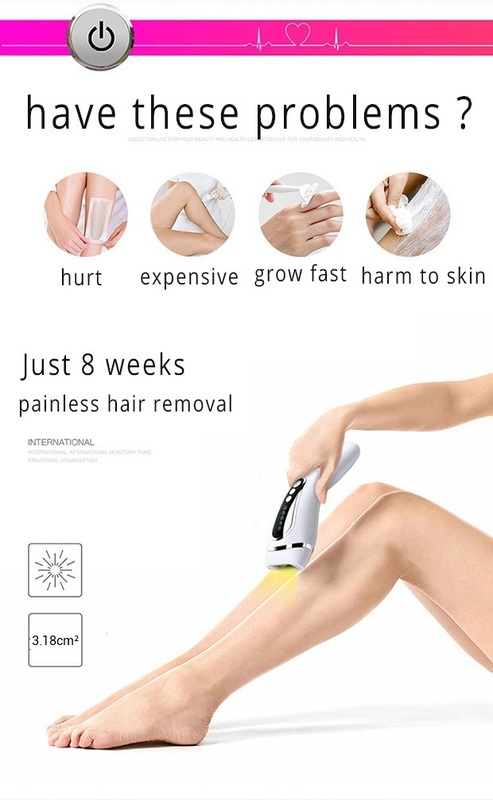 Just use this permanent IPL hair removal at home! 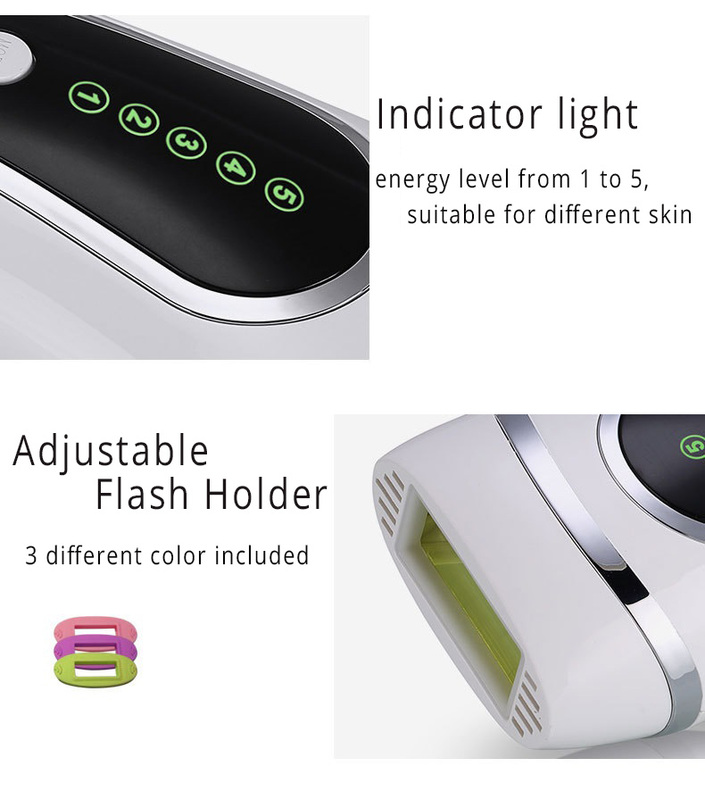 Permanent IPL hair removal system home use. This is the pain-free IPL hair removal system.It is similar effect with IPL hair removal system at clinic. But it is lighter and smaller design. So it’s easy and simple to use at home. 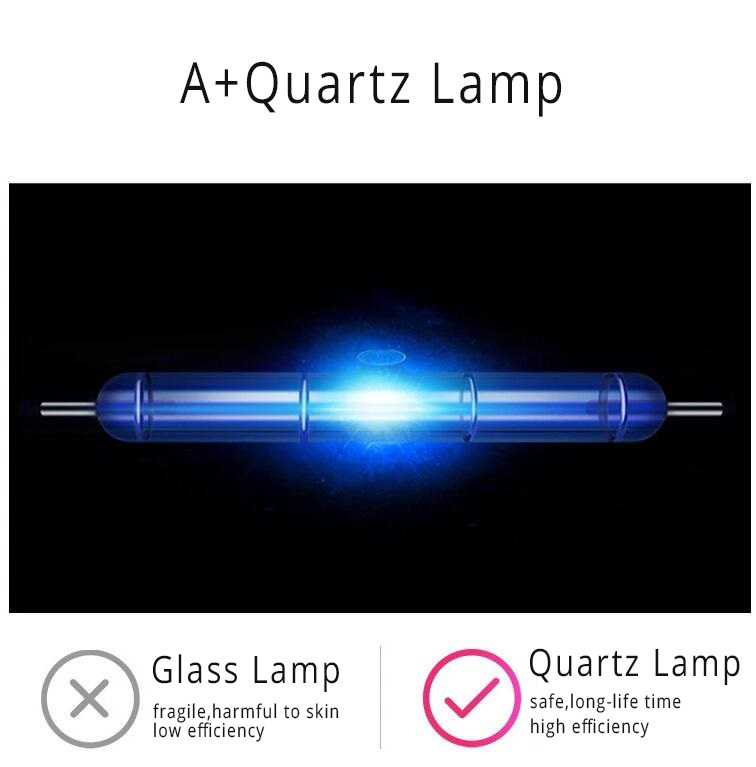 This is the time-saving and cost-effective device ! 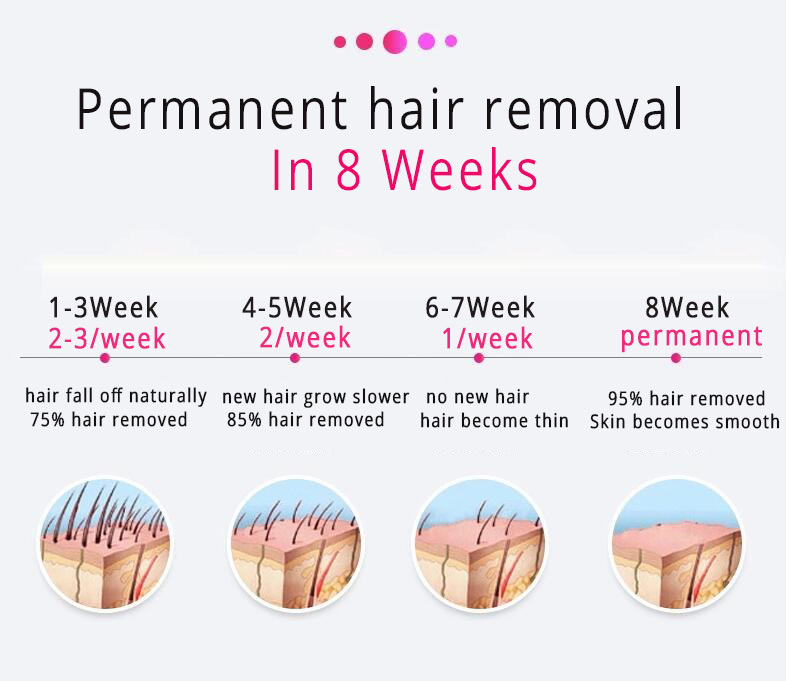 Over 95% customers are satisfied with the result after only 3 treatments and 92% customers realized permanent hair reduction after 8 weeks’ treatments. In the first 2-3 weeks following initial treatments, about 75% body hair will be removed. You will still see some hair growth. These are likely to be hairs that were missed during treatment. 4-5 weeks: You should see a 85% reduction in hair growth. However, some hairs may still not have been treated in their growth phase. It is important to continue the weekly treatments. 6-7 weeks: Immediately after you have completed the 7 weeks plan, you should see a significant reduction in hairs within the treated area. Any remaining hair should be finer and lighter in colour. Continued weekly treatments, or treatments as required, should keep your skin with permanent hair reduction at home. 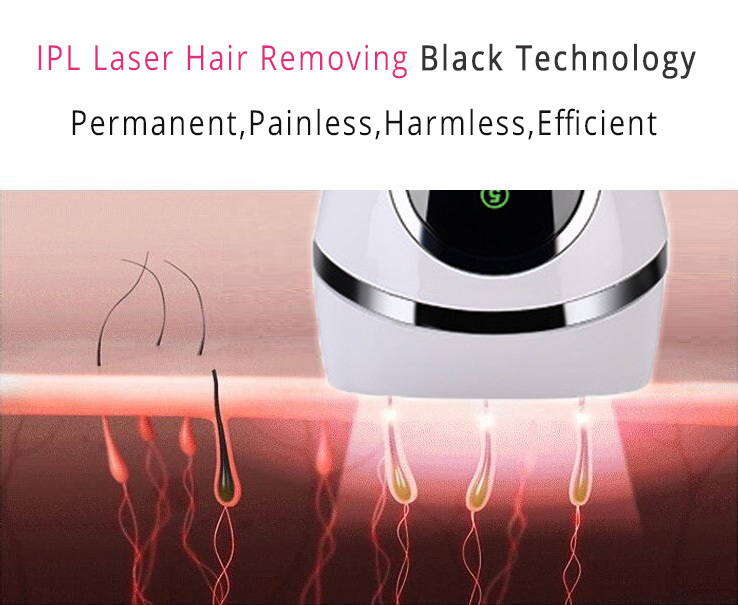 How to use this permanent IPL lase hair removal system? 1. Please have your hair shaved in advance before the treatment! 3. Hold the button for 3-4 seconds to start/power off. 5. Click the power button for 1 second to adjust energy levels. You can find the current level from the indicator light. 6. 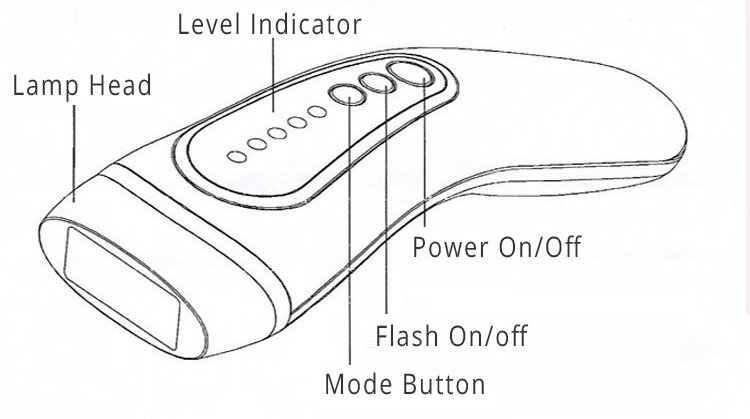 Put the device vertically on your skin and click the flashing button to start treatment. 7. Please try from level 1, if there is no discomfort then you can go on! 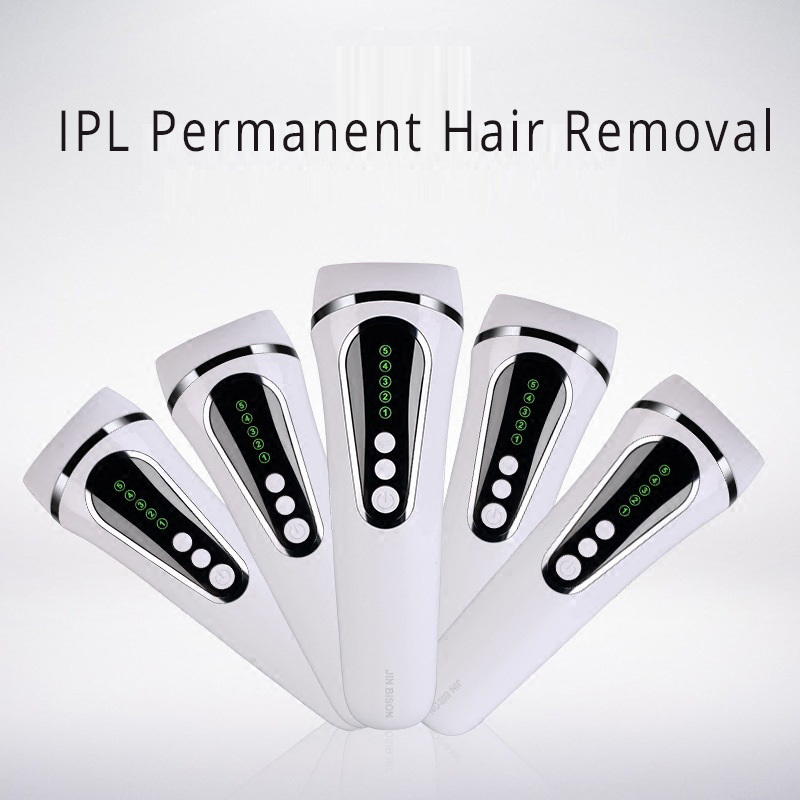 1,Women in prenency or after giving birth cannot use this permanent IPL hair removal. People is the lactation,physiological period,after operation,or having metal implatation need consult doctor. 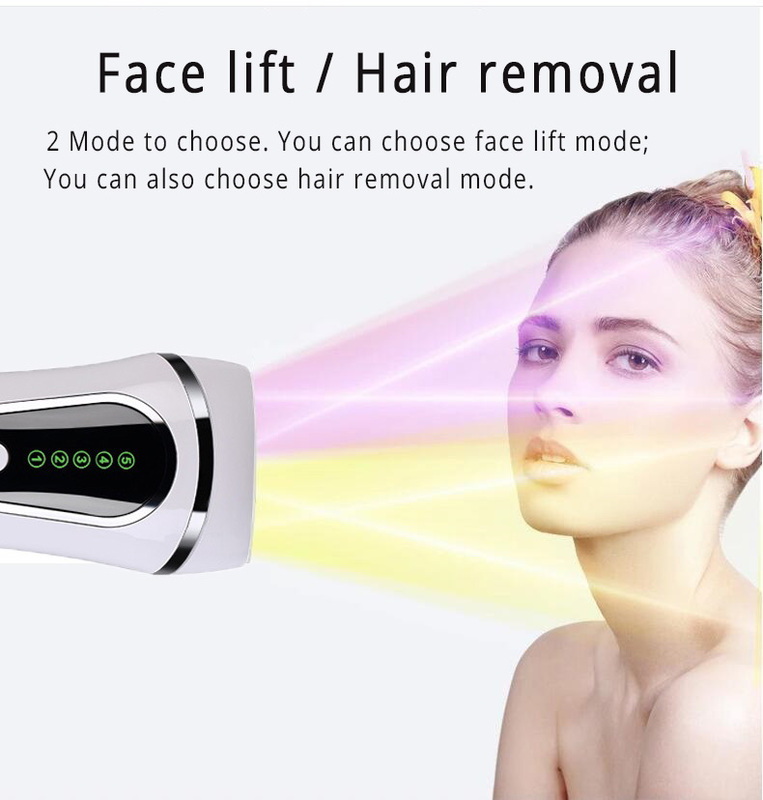 2,You can also use it as face lift device.You can choose the face lift mode. 3. People who are allergic to metal cannot use this permanent IPL hair removal.You can test it in certain part of your skin. Please confirm that your skin will not be allergic before you use. 4. 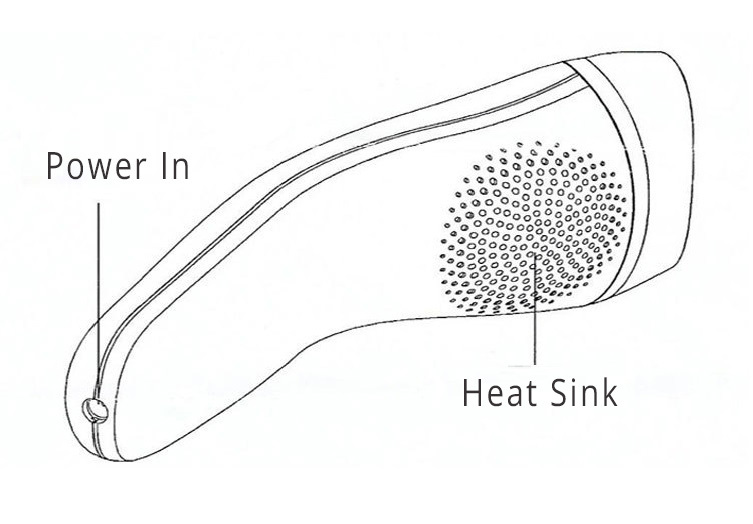 If the surface of permanent IPL hair removal is too dirty,you can clean the surface by dry cloth. 1. 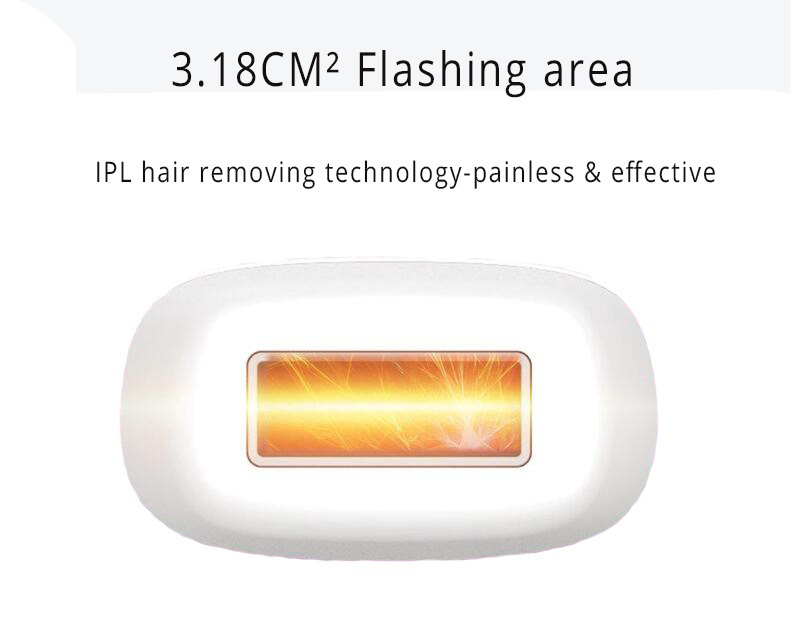 When traveling,please put this IPL hair removal in the box and avoid touch with sharps. 2. Keep thisIPL hair removal clean.You can put it in the box or cabinet.Please do not keep it in humid place. 3. Please do not use this IPL hair removal after applying products with scrub or sulfur. This IPL hair removal works great, and takes less time to do the treatment as the light window is big. It tooks me about 3 minutes to do treatment on my arm. Usually my arm hair stars growing back by the end of the day if I shave in the morning. But now, after 4 treatments, they does not grow so far. And the new growth is less and finer. I decided use it on my armpits. I do it once a week so far. This product is easy to use and does what it says it does. Very much worth it! I received the hair removal device and I was so excited to try it out. I’m very happy with this product. Wish I had time to use it more often. Need that nice skin for vacation! 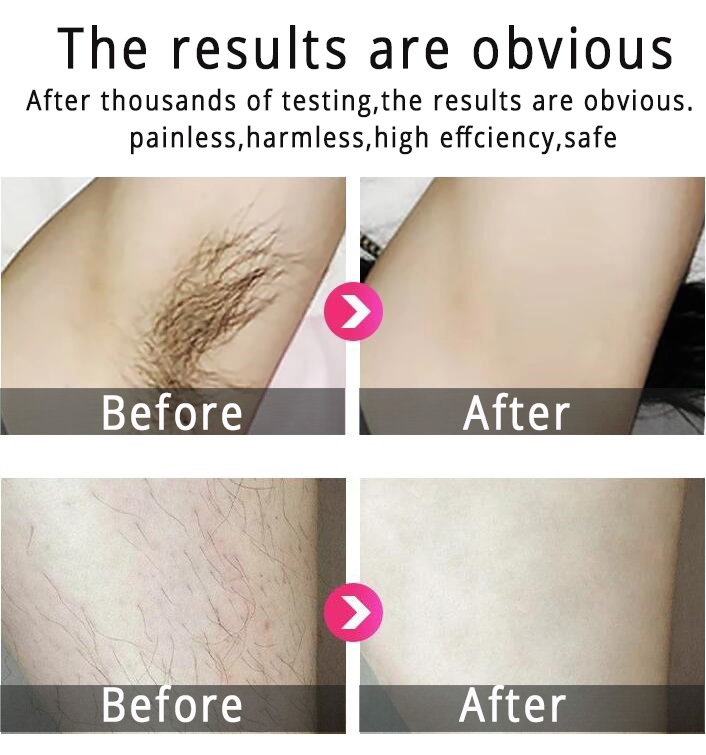 This hair removal is a very cheap alternative to getting laser hair removal at a salon. 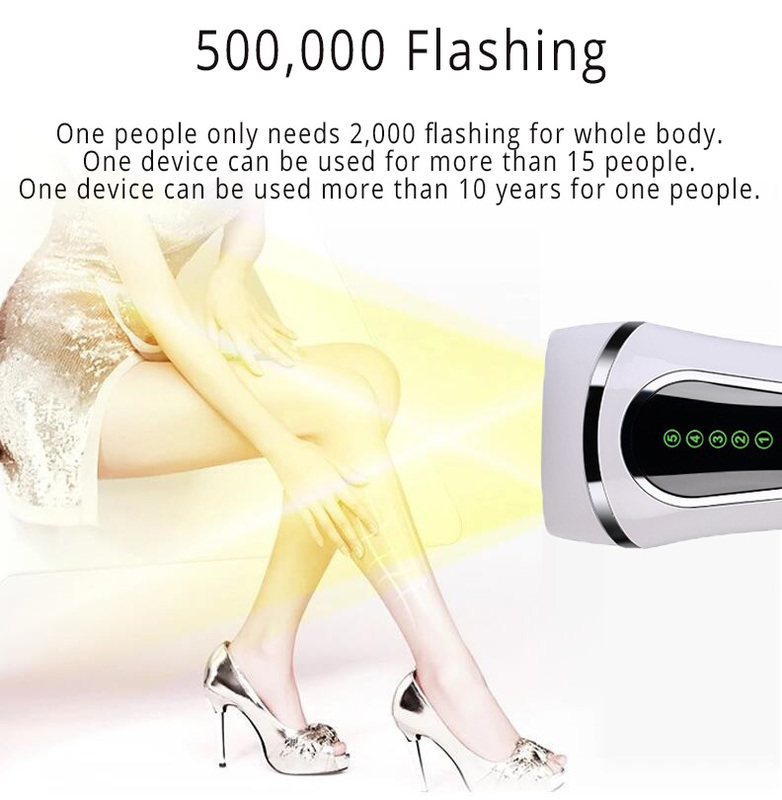 It’s non invasive and I can see my leg and arm hairs getting thinner and thinner with each use. You won’t see a completed disappear either of hair immediately which is something that I like about this product. Because it means it’s not just killing my hair follicles in an aggressive way. It doesn’t hurt and it’s super easy to use. I trust this because it’s FDA approved and I can feel safe using it. This is my first time using this kind of product and it is very interesting. It’s pretty easy to use and adjust light levels. After the week that I used it, It doesn’t make my skin hair totally smooth. But I feel like it clearly reduce the time of my hair growing. That’s a good start, looking forward to seeing the change. While my legs did not stay as smooth as daily shaving, after 4 treatments the hair growth is much thinner, lighter. And I only have to shave once a week in bathing suit weather to stay looking hairless. Patience is key! It takes a while to see results. I am using it twice a week now. I directly using the highest level, it’s a bit painful at first, but soon you’ll get used to it. 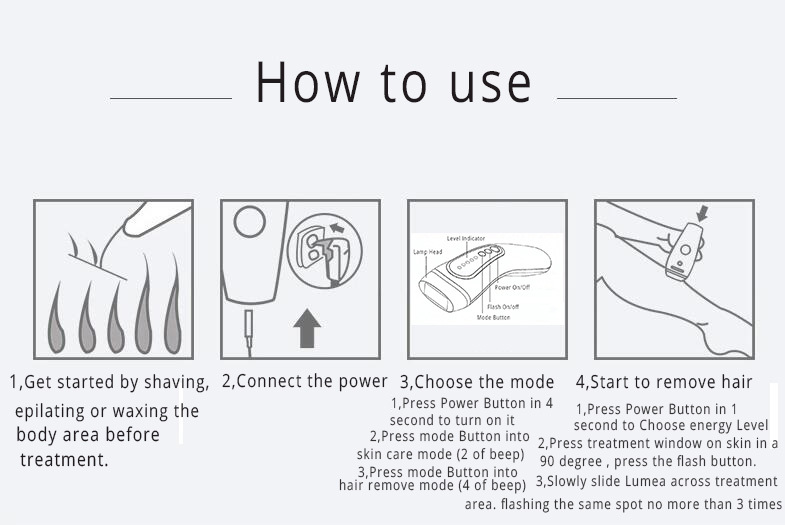 The whole process is very easy, just follow the instruction, and make sure to shave first, or it smells like burning. 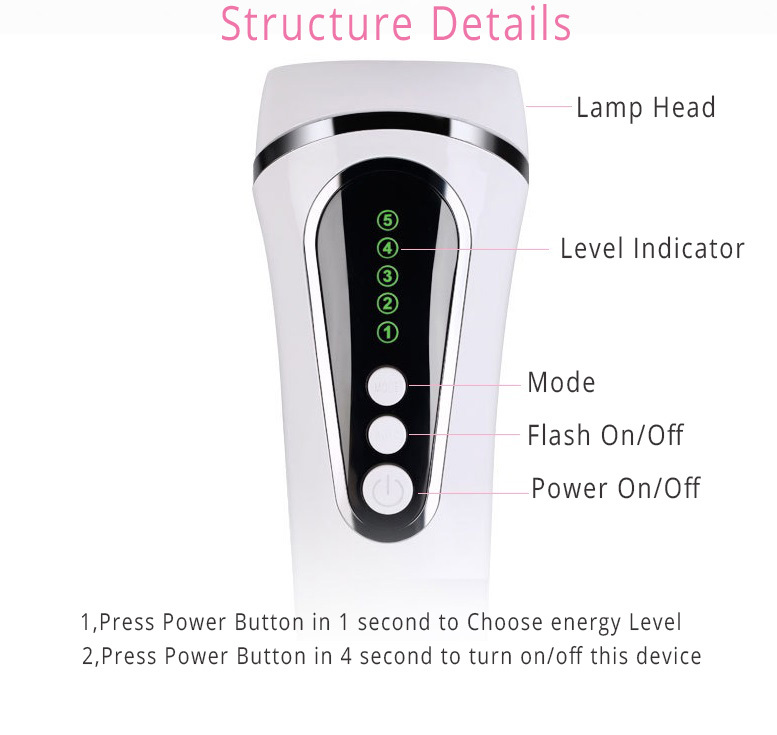 Overall, I love this IPL hair removal device very much! Hopefully it will works and I will keep update the result.